GTG Wellnessis a Korean medical device manufacturer that was established in 1999. It was listed in KONEX in 2015 and is looking to be listed in KOSDAQ. Mr. Tae-hyun Kim of GTG Wellnessis at the forefront of exporting Korean aesthetic medicine to other countries. Dr. Sang-taeAhn of Reyoung Clinicis the owner of a clinical dermatologybrand with five clinics in Korea. With Mr. Kim, he is spreading Korea’s medical knowhow to doctors around the world. Mr. Kim and Dr. Ahn have formed an important CEO-doctor partnership to inform the world of the excellent medical skills of Korea. D&PS: Tell us how you started working together to promote Korea’s medical prowess in the world. Dr. Ahn: I have been deeply involved in the academic society of aesthetic medicine. I am in charge of conducting training sessions throughout Korea and have been thinking that working with GTG Wellness in this endeavor would be beneficial. Mr. Kim and I have become good friends while attending exhibitions in Korea and around the world together. Mr. Kim: At first,the sales team of my company contacted Dr. Ahn. GTG Wellness has higher sales abroad than in Korea. When we sell our device in foreign countries, we have to provide training to local distributors and doctors. We thought Dr.Ahn would be most qualified to conductthese training sessions. D&PS: Dr. Ahn, how would you describe the main benefits of GTG Wellness products? Dr. Ahn: Each of theGTG Wellnessproducts has unique advantages. At my practice, Smooth-Liner is the most frequently used device. It can be used to improve elasticity after liposuction as well as various other treatments including wrinkle removal and acne. GTG Wellness products are an attractive option for users as they can be used in a wide range of indications and are affordable. The Doctor helps upgrade Smooth-Liner Mr. Kim: Dr. Ahn has deep familiarity with our products and tries to expand indications by aggressively exploring various techniques. He requested that we develop a new cannula for Smooth-Liner to be used for new indications. Thanks to Dr. Ahn’s such efforts, Smooth-Liner could obtain a few new indications. For example, under-eye fat and upper-arm fat removals were not part of the original indications ofSmooth-Linerbut were later developed by Dr. Ahn. He continues to ask us to improve and add new features to the device by discovering new uses. We are always open to his suggestions and release the upgrades after obtaining MRDS approval. This helps us get favorable reviews from foreign doctors. Dr. Ahnallows us to expand the application of our devices to different indications and areas. We are very grateful for that. Dr. Ahn: At my private practice, we perform many liposuction procedures. Liposuction in the arm is often followed by skin sagging. 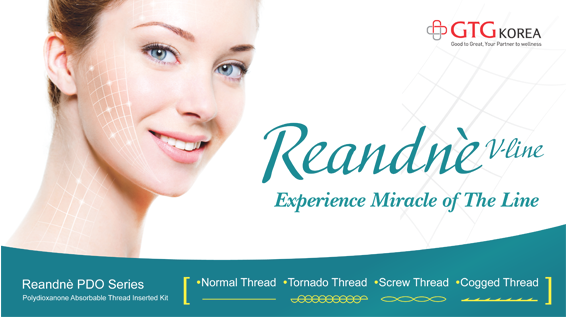 I was looking for ways to cause the skin to contract by inducing thermal damage and came to the idea of using Smooth-Liner which was initially indicated for wrinkle removal. I asked the manufacturer to develop a long tip cannula for this procedure and used it in the sagging skin of the arm after liposuction. As I had expected, it brought excellentskin tightening effects and improved elasticity and striaedistensae. Subsequently, I started using Smooth Liner in all tightening procedures and now it is the most frequently used device at my practice. Mr. Kim: Dr. Ahn uses most medical devices including ours with aggressive techniques. As a manufacturer, it is necessary to have a primary user who can test out various uses of the product. Thanks to his efforts, we will be able to introduce a new upgrade of Smooth-Liner to be used in hip and breast lifting procedures. Dr. Ahn: GTG Wellness is currently preparing to release a HIFU device. The HIFU device will be used in breast lifts. I am good friends with Mr. Kim and other GTG Wellness employees and feel comfortable sharing my opinions about their products.